Windows 10 has finally been released and today we’re going to reveal you some top applications that are worth trying out on this newly released operating system. In case you didn’t update your Windows 7/Windows 8 to Windows 10 yet, we suggest you to do this immediately, as it can be done for FREE. 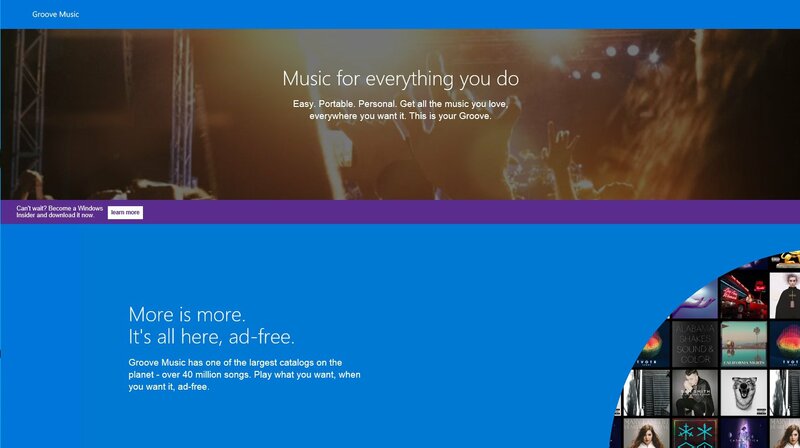 The default music application that Windows 10 comes with is called Groove Music. You will be able to make your own playlists and listen to your favorite artists and songs. You can also sign up for Groove Music Pass to get access to millions of tracks (ad-free). Movies & TV application allows you to play your own video collection and even rent movies and watch them. This application also syncs between devices, allowing you to continue from where you left off on the other device. Windows 10 has integrated the Mail application which you can used to send, read, sort or archive mails with ease. The application comes with a navigation bar that allows you to move between your email and your calendar with ease, which is great for people who want to send an email with information regarding a date and time for an important meeting. The new application that Windows 10 is using top open pictures is called Photos. Using this application, you will be able to sort pictures by date. The Photos application is going to create albums of your life events and put them in order. You can also use the application to edit photos and even share them via email or set one of them as your desktop background or lock screen. The Calendar application is allowing you to manage multiple calendar accounts, to organize appointments, and view your monthly or weekly schedule. In case you are a business person, then you will surely enjoy using this application. Do you enjoy creating music? 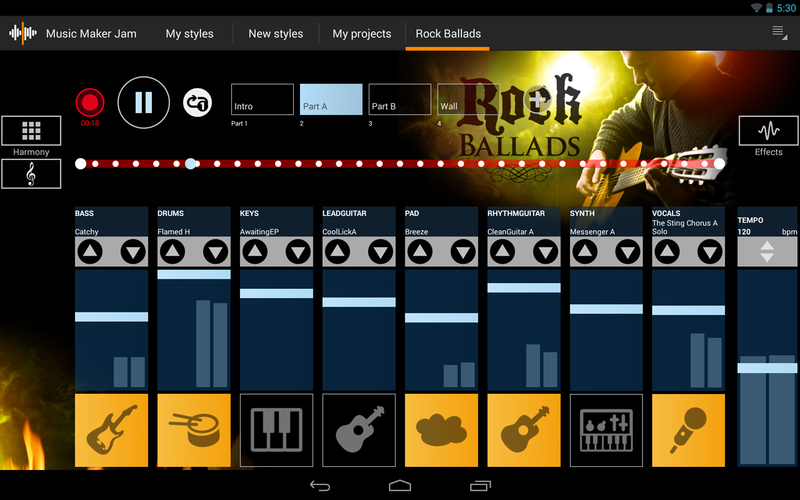 If yes, then Music Maker Jam is the application that we suggest you to use. You will be able to create some nice music without a little effort. You can select from different genres such as jazz, hip-hop, house, dubstep and even add your own voice to the mix. We’re pretty sure that there will be a lot of people who will want to try this application. Twitter application is now available for Windows 10 and you can install it right away from the Windows Store. The application allows you to share videos, pictures and even edit your profile and choose themes. In addition, the application comes with push notifications and on Windows Phone you will be able to set it to display new tweets on the lock screen. Microsoft has brought us a new browser and removed the Internet Explorer forever. The new browser is now called Microsoft Edge and comes with many improvements such as: fast browsing and pop-up blocker. In addition, the new browser that Microsoft has released is not crashing anymore as Internet Explorer used to do. We’re pretty sure that they will keep bringing improvements to the Microsoft Edge, but we assure you that you will be amazed about the big difference between this new browser and the old Internet Explorer. Maps application is working great with all screen sizes. Microsoft said that it combines features from Bing Maps and Here maps, allowing you to pin your favorite locations to your Start Menu and share a specific location with a friend via your OneNote or email. In addition, you will be able to get real time traffic information, public transportation options, local search results and turn by turn navigation. “Words with Friends” is a game application that’s available for free on the Windows Store. You can install it on your laptop, tablet or desktop computer and start playing it with your friends. You will see scores by total points or word scores and you can even talk with your opponents. Using the Adobe Photoshop Express application, you will be able to take photos and edit them. The application comes with a lot of tools such as: rotate, crop, adjust color and red eye removal. The application comes with filters and by paying 2.99 dollars, you can even get 20 more. In case you don’t like the OneDrive application that comes pre-installed on Windows 10, you can always use Dropbox. This application allows you to upload documents and photos from any device (smartphone, tablet, etc) and access them anytime you want from your Windows 10. All you will need is an internet connection and you will be able to download any file that you have stored on your Dropbox account. What applications do you use on your freshly installed Windows 10 OS?